It’s November, and triads are back. 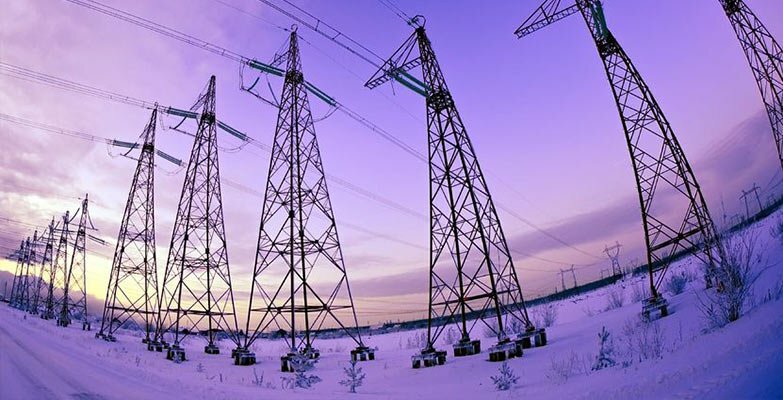 This year’s entire cost of the national transmission network will be recovered in three winter peak half-hours, calculated after the event and – just to keep everyone on their toes – cleverly separated by a ten-day rule. These are the triads. Triad management is a major source of savings and revenue for business energy users. Customers benefit by reducing consumption during national demand peaks, between November and February, which reduces the transmission charges paid by electricity suppliers to National Grid. Similarly, generators can export energy during these peaks with a similar benefit. The benefit varies by location, but in all cases it’s now too big to miss. In order for the customer to benefit from triad management, they need to make sure that their electricity supplier passes on transmission charges explicitly, rather than rolling them up into a unit rate. This is typical for commercial and industrial customers with half-hourly bills. The charges are usually listed as Triad, TUoS or TNUoS on the bill. With these stated explicitly, it becomes possible to avoid them. Triad charges are often estimated in advance and split over many months, but there’s always a reconciliation once the true triad charge is known. This should come out as a straight pass-through of the transmission charge which the supplier paid to National Grid for the site. If the site didn’t consume during the triads, then the charge isn’t payable. That’s the saving. For sites with generators which generate more than site demand, and thus export energy, a Power Purchase Agreement (PPA) is needed in order to earn revenue for exported energy and to benefit from triad management. Just like electricity consumption, this needs to show triad charges explicitly, so that the customer can target them. In this case, the charge should be negative – a benefit. That is, of course, if generators are running during the triads. Flexitricity is independent of the electricity suppliers, so we’re happy to look at bills or PPAs to help you check if the triad benefit is as it should be. Energy brokers can also be very useful in getting these arrangements right. Triad management typically requires response in weekday evenings. Depending on the weather and time of year, demand response actions may not be required for a whole week, whereas other weeks may require several triad runs. Many companies use standby generators to manage triads, and these need regular maintenance in order to be reliable. Most businesses (though not all) do this during normal working hours. Where the generator is ready for service from 4pm each day, this is fine. But it’s worthwhile starting early in the day, as running late can be very expensive. Annual servicing may take a generator or generators out of action for a number of days. If this must occur between November and February, it will be worth discussing options with Flexitricity and the maintenance contractor, to minimise the impact on triad management. During the triad management season, from November to February, the number of demand response actions may be greater than those experienced for other demand side services the rest of the year. In addition, the actions have historically all been in the evening. Problems need to be caught quickly, particularly during a cold snap! This requires regular communication. In order that relevant staff are kept aware of triad management decisions, automated emails or texts can be sent by Flexitricity. Where fuel levels are monitored by Flexitricity, these can be included. It is worth regularly reviewing with Flexitricity the most appropriate contacts for automated messaging, as well as those whom Flexitricity operators should contact by telephone if they have a concern. The quantity of fuel held on site for standby generators will vary depending on the size of the generators and site load and the level of resilience required. Other considerations include the ease of accepting deliveries. How low a fuel level should be allowed to drop before replenishment requires consideration of the financial and time costs of each delivery, the level of resilience required and the availability and response of the fuel delivery service used. The use of standby generators for triad management must be considered in the context of the primary duty of the standby generators, which is to ensure the security of the electricity supply to the site. Typically, the risk to the supply is not increased during the demand response action; in fact, regular on-load running is vital to standby generator health, and it’s far better to do this when the electricity supply is healthy. The impact of a mains failure during demand response is discussed in our blog post from 9th September 2015. However, it is advisable to determine the minimum acceptable level of fuel, whether that is automatically pumped from a bulk tank, or kept elsewhere on site ready for manual transfer. Flexitricity can assist with fuel monitoring where connection of a continuous fuel level sensor is included in the installation of the Flexitricity outstation. Flexitricity can automatically report fuel levels each time the generator is used. Where fuel levels are not monitored, we can report the energy generated, and this can be used to estimate fuel usage. Many sites manage triads by curtailing load. This is a very different process to generation with far more variation between sites. However, the principles are the same. Successful triad management requires preparation, attention and communication. The benefits are worth it.